﻿ Best Price on Aranjuez Hotel & Suites in David + Reviews! Offering a daily breakfast buffet with variety of cold, hot and healthy stations, Aranjuez Hotel & Suites is located only 5 minutes’ from Enrique Malek International Airport in David. Each modern suite offers flat-screen TV and free WiFi. 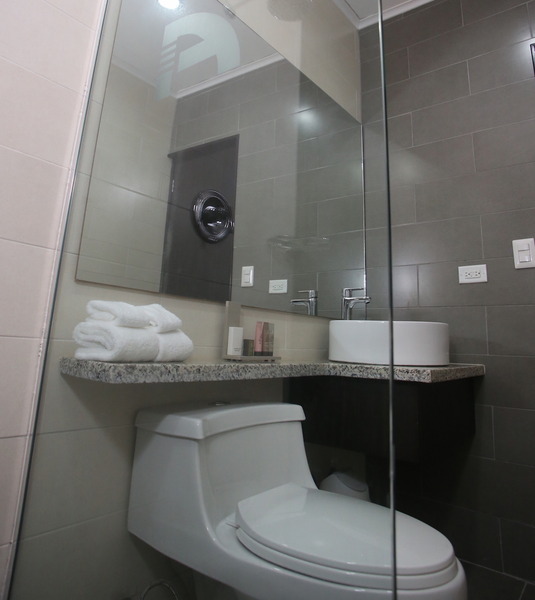 A private bathroom with free toiletries and a shower is offered in each air-conditioned room. A work desk and a seating area are provided. For additional security, a safety deposit box is included. Guests can enjoy meals in Restaurant Jarama or relax with a drink in the on-site bar. The front is available 24 hours a day and provides tourist information and luggage storage. A business center and meeting facilities are included. Catedral de San Jose de David is 5 mi and Puerto Pedregal is 3.7 mi away. Barqueta Beach is 32 minutes’ drive from the property.